The information contained or otherwise referenced herein is presented only as “typical” without guarantee or warranty, and Industrial Welding Corporation expressly disclaims any liability incurred from any reliance thereon. Typical data and test results for mechanical properties, deposit, or electrode composition and other properties were obtained from a weld produced and tested according to prescribed standards and should not be assumed to be the expected results in a particular application or weldment. Actual results will vary depending on many factors, including, but not limited to, weld procedure, plate chemistry and temperature, weldment design, and fabrication methods. 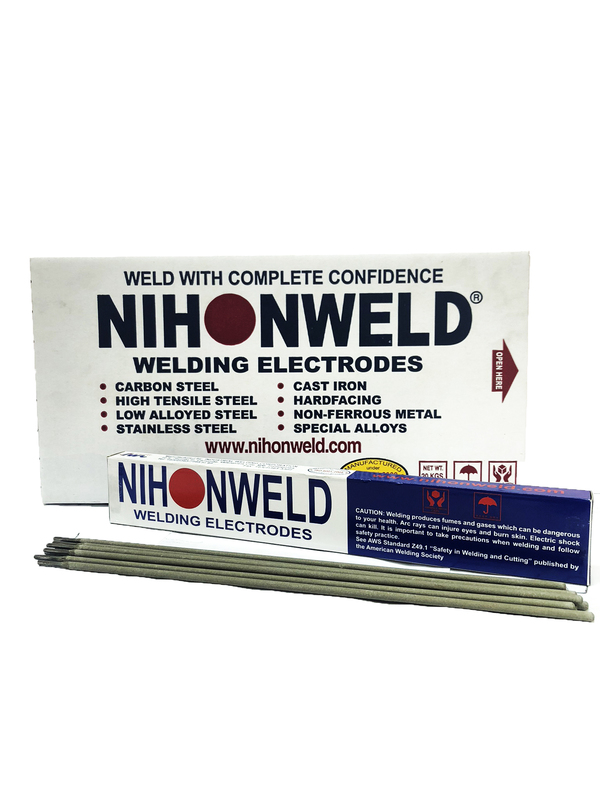 Users are cautioned to confirm by qualification testing, or other appropriate means, the suitability of any welding consumable and procedure before use in the intended application. For heat treatable low alloy steels, such as SCM21/4 chrome-molybdenum steel, SNCM8 Ni-Cr-Mo steel, high tensile steels, such as WEL-TEN80/80C/80P/80E, ASTM A486 Gr120/A508 Gr5a.4a/A543 GrB3.C, etc.